I was waiting for this movie for sometime and I try to avoid much trailer or spoiler of this Manga adaption movie. I have to be honest before watching this movie, like many of you I have not read the full Manga of Alita Battle Angel. True to the manga, the main protagonist is a girl but she is cyborg. When the photo of Alita was out years back, many speak ill of how weird she look with big eyes but if you watch the actual movie, that would very much forgotten that just moment you saw her waking up. She do look very much like a human with the good emulation of CGI and motion capturing. Yes, the whole of Alita in every scene was CGI. In the beginning of the movie, Alita will instantly won your heart when you follow her to discovery the world. She seems to have a mind of a teenage girl and behave like one too. For instant. she met a guy and start to have attraction and feelings toward that young guy regardless she was saved by an older guy but she do not have feeling for him in that way. If she is a cyborg, I guess there would not be any gender in their programming right? Nonetheless if you want to explore deeper on that fact, then the whole entire story would not play out well. So just stick to that to enjoy the show. Now this is where the line are blurred. Alita seems to remember her pass during some battle. Her memories of being in a military and her primary mission was to kill Nova. So she try to recruit people (in a bounty hunter bar) for her causes but not surprising none of them joined her. It is not because there is no money for reward but people there don't seems to care about her cause (me included). She very much have to take it on herself to fight alone. The only way she know is to win the title in a game for her to go up to the floating city where the villain Nova was. Sound like The Hunger game? The movie failed in character investment maybe because there wasn't enough screen time. Even during those scene that some important characters was eliminated, it doesn't really even trigger me to have enough sadness. There is only one scene that did tho. It was when a dog was killed and seeing Alita dip the blood and smear on her cheek for vengeance was emotional. Many who watched this movie mention that it has a hunger games feel to it because the ending Alita has not won any game to go to the floating city. Having part 2 was a big risk here. Part two would either better than this movie or the story will be left hanging forever if there was no part 2. The only franchise that has a better part 2 as far as I can remember was Terminator 2 and that was by James Cameron. Since this was produce by James Cameron, there remain some hope but it would take some time as James was famous for taking his own time. That being said, this movie as a part one did not make me look forward to part 2. Why? There is no worthy cause and weak villain. Nova seems more like a puppet master but all this time his puppet are just too weak against Alita. I doubt that he can battle himself. Why Alita need to stop Nova? What have he done to Alita or the world? Why in her former memories Alita and her team need to take Nova down? Did Nova doing something evil to all the people because I did not see his evil deeds affecting the people in this movie. Alita only have an upgraded body and there is nothing further to upgrade. Her lover was gone and she look very much alone to complete her mission. There is no more character development from here on. No upgrading of skill or wisdom. So how is this going to be interesting? Regardless this movie is still entertaining by its own. 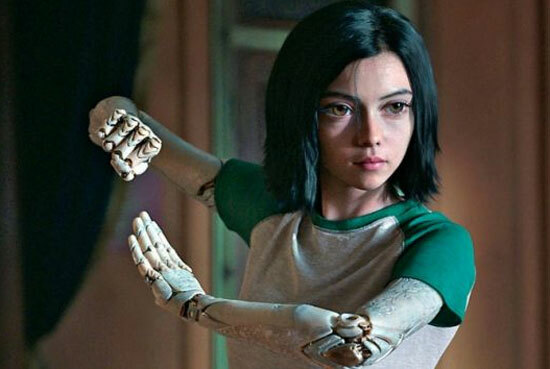 Like me, you would love Alita as a girl in the beginning of the movie. I love the way she tasted the chocolate and cheering while she was watching the game. The only thing I feel that is lacking was the toys which only now Hot toys are making it. Maybe in time to come Tamashi nation from Bandai or good smile may make some of the toys of her if they got the license to. If it does, that would be end of the year or so. By then many would have forgotten this movie too tho.